“Heading for home after a blistering week. And home is a vicious uncaring State suffocating from bad governance, misrule, poverty, predatory institutions and decayed infrastructure. 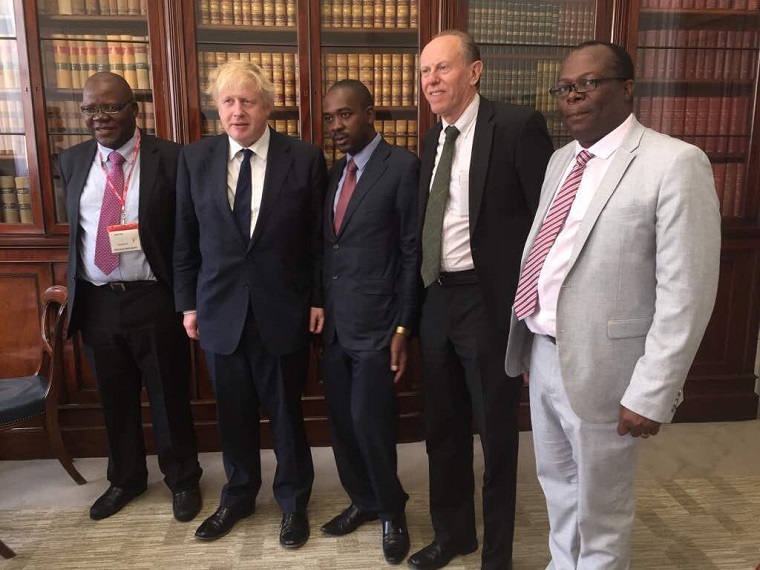 This is what we will change in 2018,” People’s Democratic Party leader Tendai Biti, who has been on a tour of the United Kingdom with Movement for Democratic Change Alliance leader Nelson Chamisa, tweeted today. According to today’s online edition of the once highly respected Newsweek international magazine, however, Biti believes it is too soon after the November “coup” to have real elections in Zimbabwe. Robert Mugabe who was at the helm of the country since 1980, the first seven years as Prime Minister and the remainder as President was forced to step down after the military intervened to stop “criminals” who had infiltrated the Zimbabwe African National Union-Patriotic Front to destroy it from within. “We are rushing into the next election without understanding what happened in November 2017,” Biti told Newsweek. “How can we ever prevent that from happening again? You know from the state of Africa that once you have a coup, they tend to replicate. “I can tell you that that coup has become a copybook for the entire military in an already fragile region,” he said. Zimbabwe is still to announce the date for the elections but constitutionally they just be held between 21 July and 21 August. While most politicians are clamouring for President Emmerson Mnangagwa to proclaim the elections, constitutionally, he has up to 8 July to do so. The earliest date on which he could have proclaimed the elections was 30 April.